Top performing employees make more money. Happy, engaged, fulfilled people are easier to work with – and they are more productive – which is great for your business. Bring out the best in people. Attract, develop and retain superstar staff (cream of the crop) because people love working for your organization. Top performance. Boost profits because employees are content, engaged, super-productive, and morale and motivation are high. People want to follow your lead. Excel in your industry because you are a true leader and a role-model in the eyes of your workforce. People provide greater leverage than all other inputs combined. Human capital, as resource, has almost limitless potential… if directed correctly. Achieve fulfilment in work. 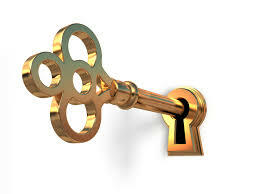 Discover and develop untapped potential; develop latent abilities, talents, skills, and apply to full capacity. Reduce Stress. Improve working relationships, environment and conditions. We help optimize and maximize your employee’s potential, and help you discover the gems you didn’t even know you had. Turn your workplace into a hive of activity and your workforce into happy productive people. Turndisgruntled staff into your biggest champions, and leaders into heroes. Root out ‘risky business’; misconduct, mismanagement, malice, mischief, and misdemeanours. Solve social ills; bullying, abuse, discrimination, harassment, corruption, etc. as well as any immoral, illegal, and other hurtful or undesirable behaviour. Company culture secrets; Discover to what degree company rules, regulations, processes, procedures, mission, values, etc. are adhered to. Prevent costly mistakes, disasters, accidents, emergencies, lawsuits, and casualties. People are the key ingredient for a thriving business and prosperity. You would have no business without a workforce, just like you would have no business without customers. Negativity goes viral. People talk and infect others with their negativity, so it spreads. Disgruntled employees are more likely to alienate than attract, and cannot/ will not treat anyone the way you would like them to whether its colleagues, suppliers, customers, etc. People are also more likely to be distracted, disengaged, or even destructive when they are discontent, or have complaints, but no way to air it. Negativity undermines business – intentionally or not. Rather turn employees from liabilities into your best assets. Newsflash! Your workforce as a resource has virtually limitless potential (if nurtured and used properly). Revenue generation, stock and other savings, new product developments, other resource optimization, intriguing marketing, compelling sales, valuable services, exponential profits and so on… and on, are all dependent on your and your employee’s ingenuity, capacity and actions. Click here to Get a Quote to Optimize Human Resources. 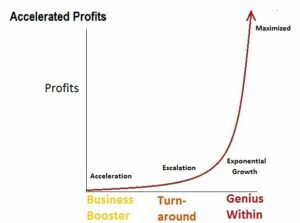 [Profits* = in all cases Profits* (in the graph) can be replaced by any, some, or all of the following: – revenue, morale, productivity, disposition, morale, engagement, relationships, efficiency, effectiveness, commitment, happiness, and many more (whatever you decide to measure)]. Our Genius Within Organizational Development Programs address Resource Optimization at ever deeper levels to maximize profits and improve returns on investment. When you create the environment and circumstances for employees to reach their highest potential and perform optimally… as opposed to having to manage them to the nth degree… you free yourself up to do more important things. We help you maximize resources like never before. Click here to Get a Quote to Maximize Profits. Find the hidden factors that trip you up or sabotage your best efforts – then turn them into advantages. Grow by identifying and acting on new opportunities. Activate, optimize, and maximize previously untapped resources so that you can thrive and leave the competition biting dust. Make everything you do work, easier, better, smoother, and faster. Turn craft into mastery and mastery into art. Turn employees into super productive workers.